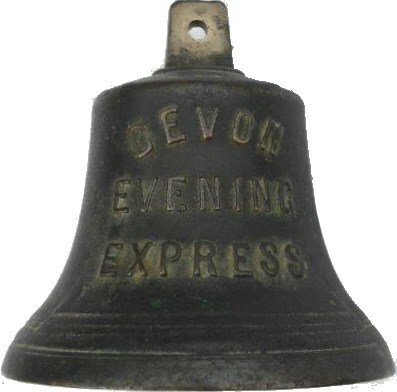 Lot 186 Small Brass Bell Embossed "DEVON EVENING EXPRESS". Size 5" Tall. Used on a Newspaper Stand. Good condition. A rare survivor!! !